You want more out of your dryer than just a lot of hot air. 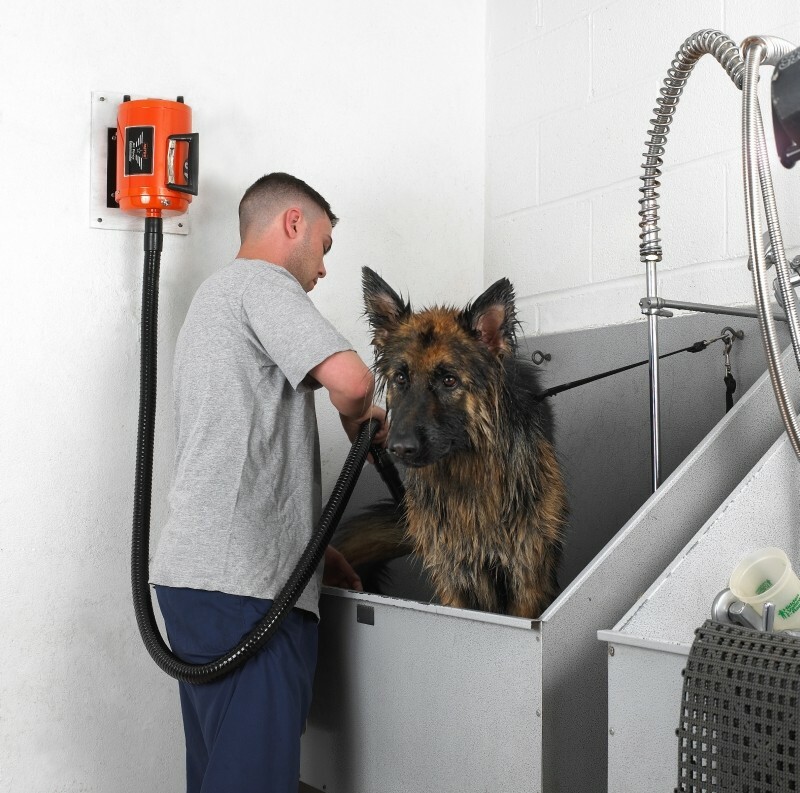 You want a dryer that saves you time, saves you work and leaves your dogs looking beautiful. That's the "grooming advantage" Metro® Air Force® Commanders® give you. 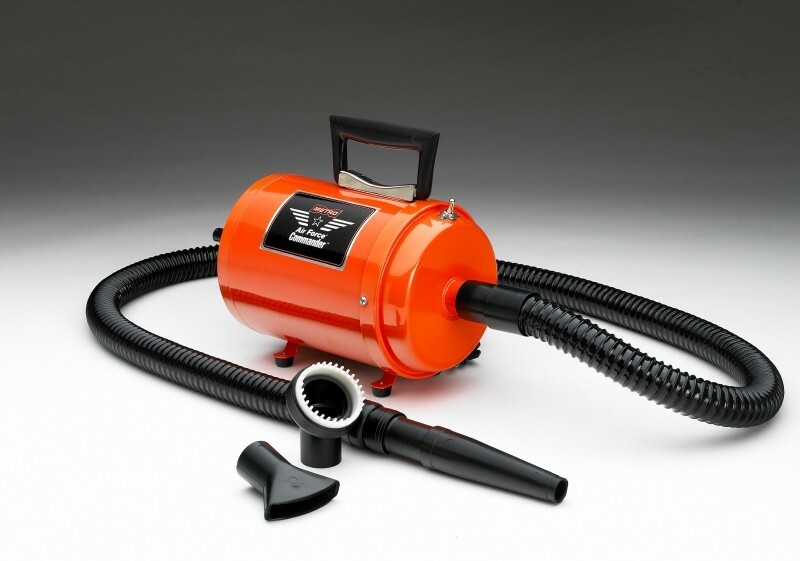 No other compact dryer combines such features as air flow control, air concentrator, air flare tool, a groomer rake and much more. That's why Metro® Air Force® Commanders® actually cut drying time by two thirds. You could, in fact buy a more expensive dryer but it wouldn't give you the grooming advantage. Because 60 years of Metro design and manufacturing experience give you high performance without high prices. So give yourself the "grooming advantage", for about half of what you would expect to pay for dryers of this quality. 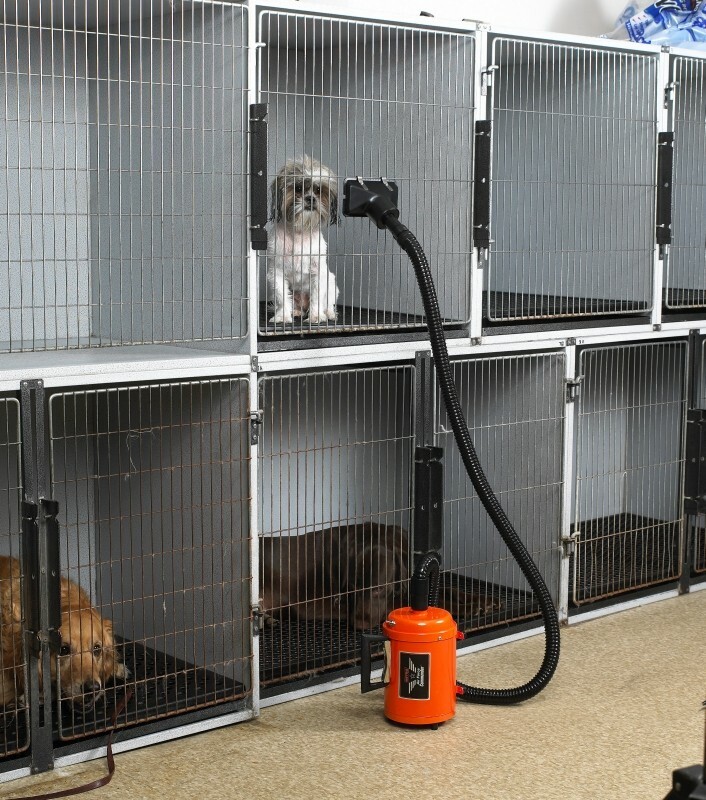 Metro® Air Force® Commander® is a powerful floor/table dryer with two-speed performance, allowing you to groom large or small breeds with one dryer. This lightweight dryer is so powerful you will forget it's portable. 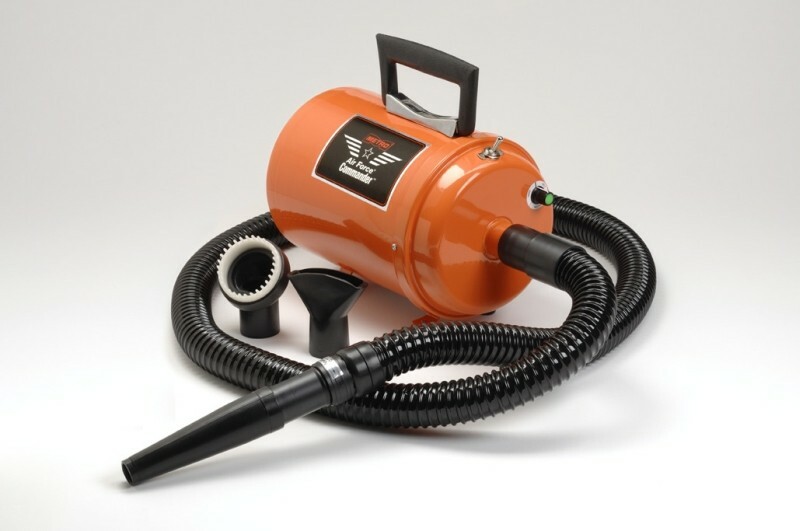 Features include an easy change filter and dual mounted legs that allow the Commander® to be used vertically or horizontally. 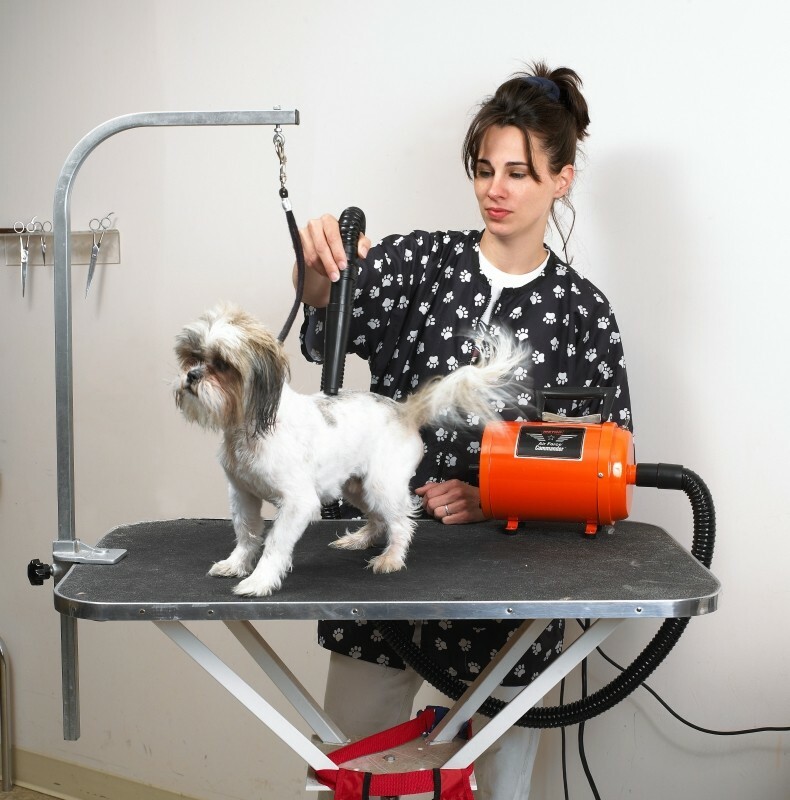 You can groom more dogs in less time ... make more money. You'll particularly like the job it does on heavy coated breeds. The Commander® dries their hair without drying their coats. 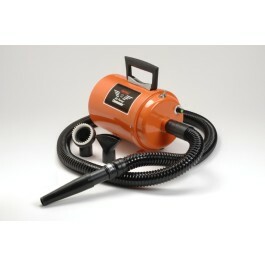 It's ideal for the professional in the shop or on house calls. Once you use an Air Force® Commander® you'll say, "How did I ever get by without it." Optional Cage Dryer Kit includes: 2 handle holders, 2 1/2 x 3" cage attachment w/ "S" hooks.